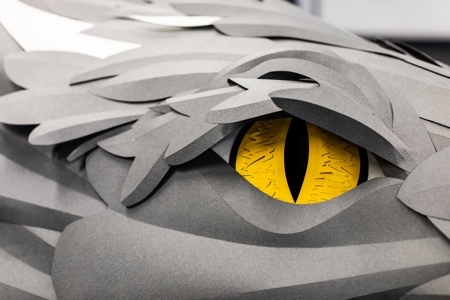 Giant fire breathing dragon from Game of Thrones tv show made out 1200 layers of A4 paper. 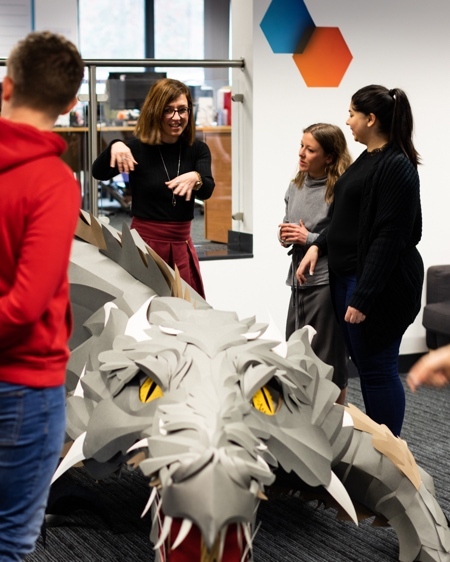 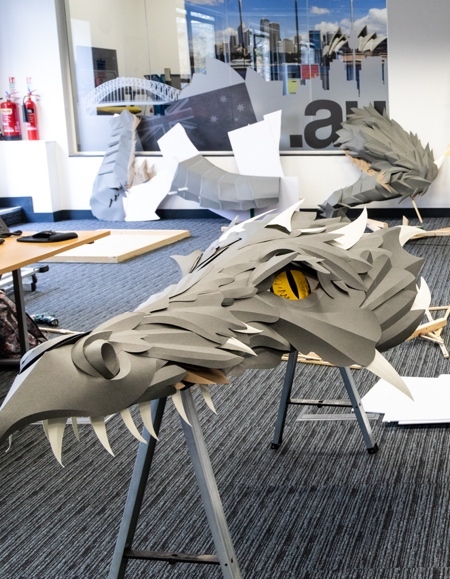 Game of Thrones inspired giant 13-metre-long paper dragon crafted by British company Viking. 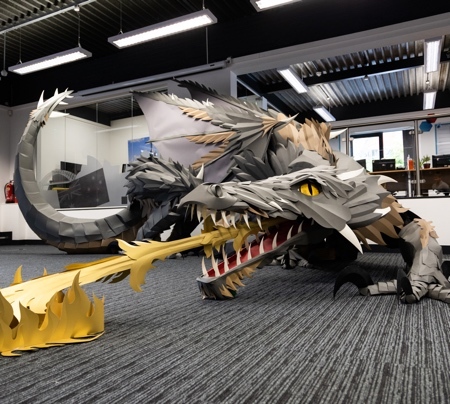 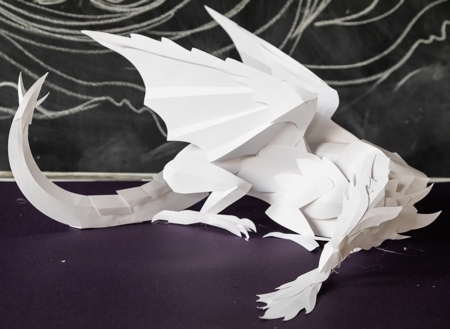 Paper Dragon sculpture created in 110 hours.